The arrival of Fortnite to Android is making itself begged. Although the company announced a few weeks ago that the title would come this summer, has not yet echoed its launch in the operating system of the green android. 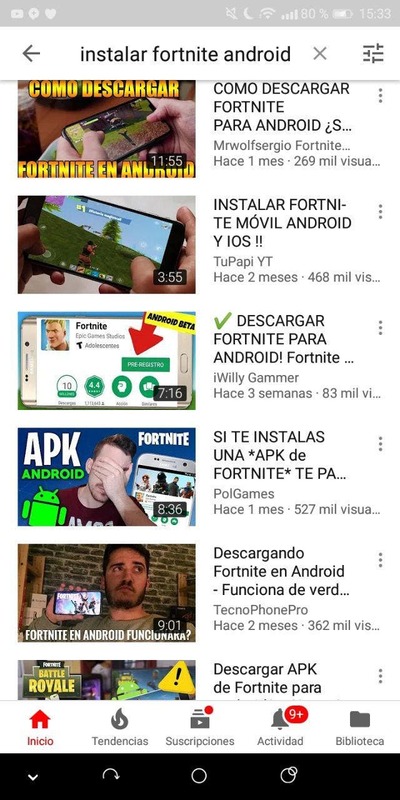 Due to this, there are many pages and youtubers that try to earn fame, money or whatever they want by creating videos and pages with the claim ” install Fortnite on Android for free “. A few days ago we saw some fake APKs in the corresponding article, and now this fashion has reached Youtube. The worst of all is that these same videos are being sponsored and promoted by the Youtube platform itself , so we should be careful not to fall into any of these. 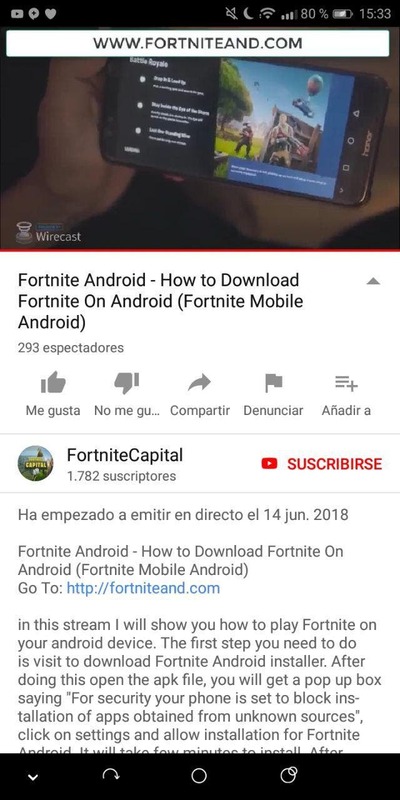 You just found a video on YouTube with a name similar to ” download Fortnite on Android “, “install the Fortnite beta on your mobile” or “test Fortnite before anyone else”. Although they may seem totally legal and real videos, almost all of them are false. Just do a search on YouTube to find dozens of these types of videos. In the majority we find links to other pages or subscriptions to premium services camouflaged . In other so many we find APK files that although in a first moment they can seem the real game, most of the times it is usually a copy that in the best case asks us for our access data to the Fortnite account. Of course, all these tricks are false , and all seek a single common benefit: our money or our data from a service on the network. That is why from Pro Android we strongly recommend that you do not download any application that does not come from the Play Store (at least with the name of Fortnite) or access any type of web page that asks you to access an account on Facebook, Twitter or enter personal data. If the game comes to Google or through an APK, the same developer will make it official through the Epic Games website . Meanwhile we have to wait until its official launch, which is estimated to be in July.